“A Multitude of Angels” is now listed on Amazon.com and Amazon.de. 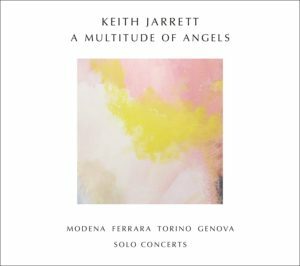 A Multitude of Angels is a 4-CD set of recordings from a series of solo concerts in Italy in October 1996, documenting the conclusion of Keith Jarrett’s experiments with long-form improvisation in performances from Modena, Ferrara, Turin, and Genoa. It will apparently be released on November 4 in Germany and on November 18 in the US. Thanks to Lüth, Adrian, and Aziz for the links! This entry was posted in Concerts, Europe, Releases on September 17, 2016 by Olivier Bruchez. 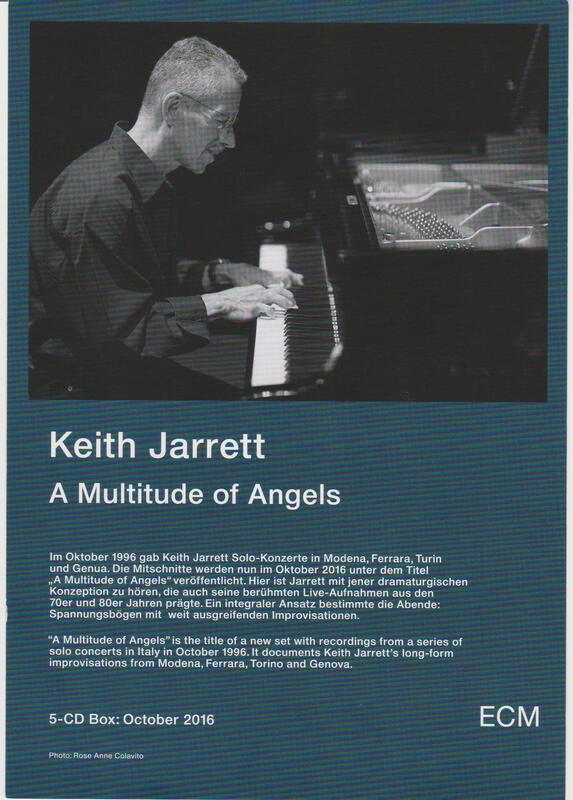 “The next Keith Jarrett ECM CD release, “A Multitude of Angels” will not be be released worldwide until early November, not in October. The box set will include 4 CDs, not 5. The flyer that ECM released for the recent solo concert in Rome on July 12 was not correct. 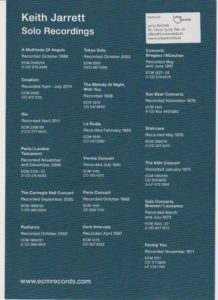 The 4 CDs will have the complete improvised 1st and 2nd sets of the following 4 solo concerts he performed in Italy in 1996. 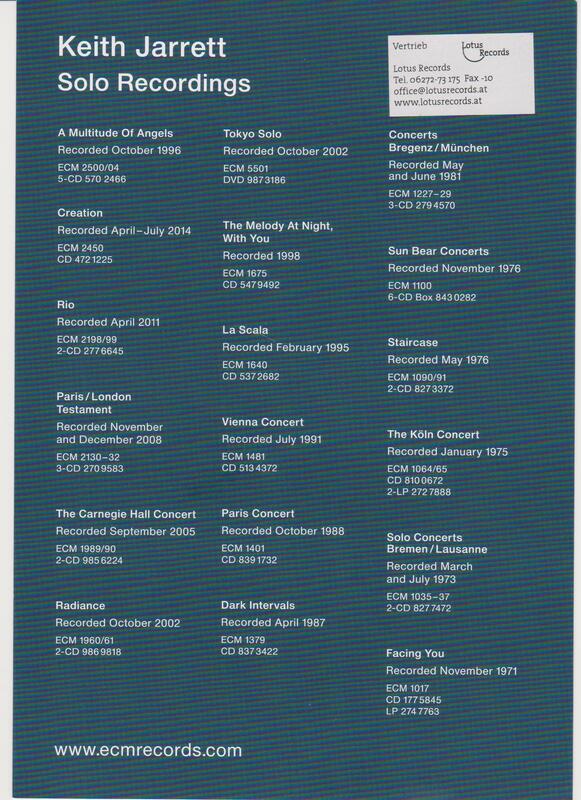 Plus a few encores from certain of the concerts are included where the overall timing for each CD allowed. This entry was posted in Concerts, Europe, Releases on September 15, 2016 by Olivier Bruchez. “A Multitude of Angels” will officially be released in October 2016, but it is already listed on Amazon Japan with a release date of September 21, 2016. At this point, it is unclear if any of the encores (e.g. “Over The Rainbow”, “Mon Coeur Est Rouge”, or “Danny Boy”) will be included in the set. Thanks to Matthias, Michal, Timo, Thorsten, and Sascha for the information/scans! This entry was posted in Concerts, Europe, Releases on July 16, 2016 by Olivier Bruchez. It will be the opening concert of the 10th Annual Jazz and Wine Bordeaux Festival. Tickets will go on sale on Thursday, June 9, via the venue box office. This entry was posted in Concerts, Europe on June 4, 2016 by Olivier Bruchez. Tickets for the Budapest concert will go on sale on Wednesday, May 11 and tickets for the Vienna concert will go on sale on Tuesday, April 26 at 12 PM (noon). Thanks to Lilla for the link. This entry was posted in Concerts, Europe on April 25, 2016 by Olivier Bruchez.